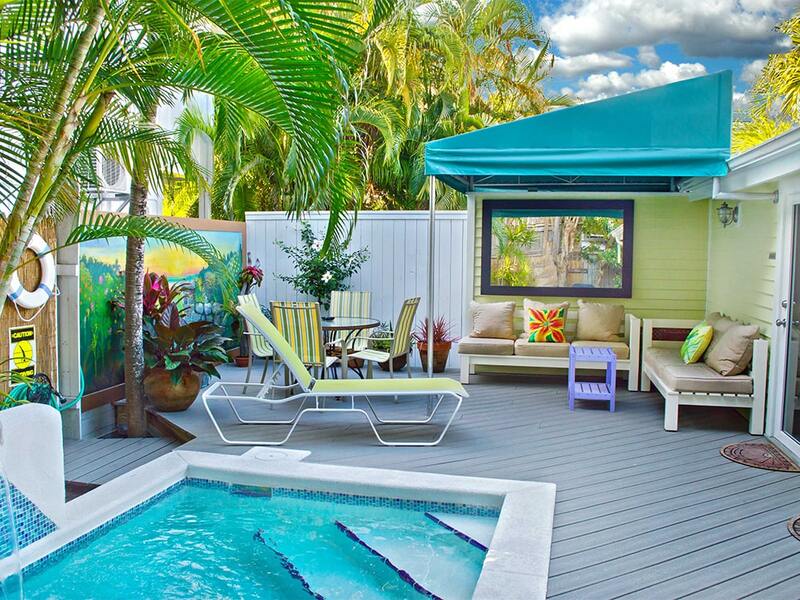 Cleverly hidden from view at the end of a narrow island urban lane that intersects with downtown Duval Street, this Starlight Siesta vacation rental encompasses the rear half of the Key West penthouse property known as Penthouse On Duval. 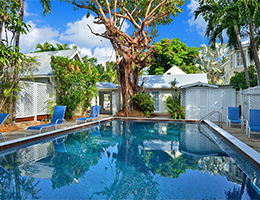 Perfectly staged in the island's city center, this spectacular downtown Key West rental received a complete renovation in 2009. When the penthouse apartment is not rented in entirety, it may be possible to rent this 2 bedroom 2.5 bathroom suite as a separate accommodation. When rented as a separate suite, Starlight Siesta features the back lounging deck that nearly spans the width of the entire building and provides a hidden space for stargazing in the city. The deck connects to a gorgeous and spacious great room which is elegantly furnished with West Indies style linen and woven grass furnishings, and a unique collection of lamps, accessories, and carefully chosen artwork complete this "picture perfect" great room. In the decorating of this luxury suite, the designer chose soft and relaxing colors. She chose sky blue paint for the ceiling of the great room which helps to bring the outdoors inside. 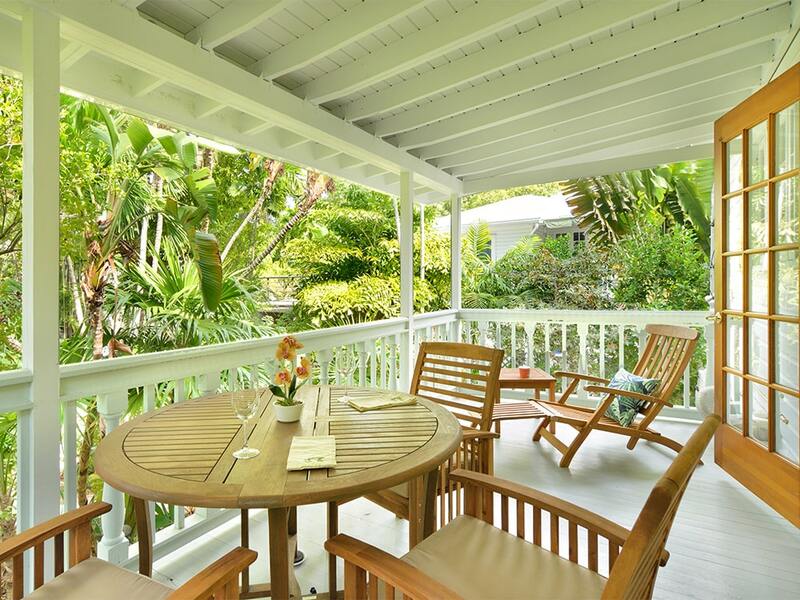 This practice is common for outside porches in Key West and its use inside is inventive and uplifting. There is an artistic powder room just off the great room that puts the entire space over-the-top with rich gold toned walls, designer podium style vanity topped with a clear glass bowl sink, and unique lighting. A metal sculpture of sea creatures frames the vanity mirror creating yet another art space to enjoy. The elegant designer kitchen connects flawlessly to the great room via an artistic island dining counter. Tiny sand-stone tiles set in the counter top are artistically placed on the diagonal and offer a refreshing change from overused granite that we see so much of these days. Shiny stainless steel appliances are set off with custom mahogany cabinets, designer lighting, and a grand size gold-framed decorator mirror that is set above the stove. 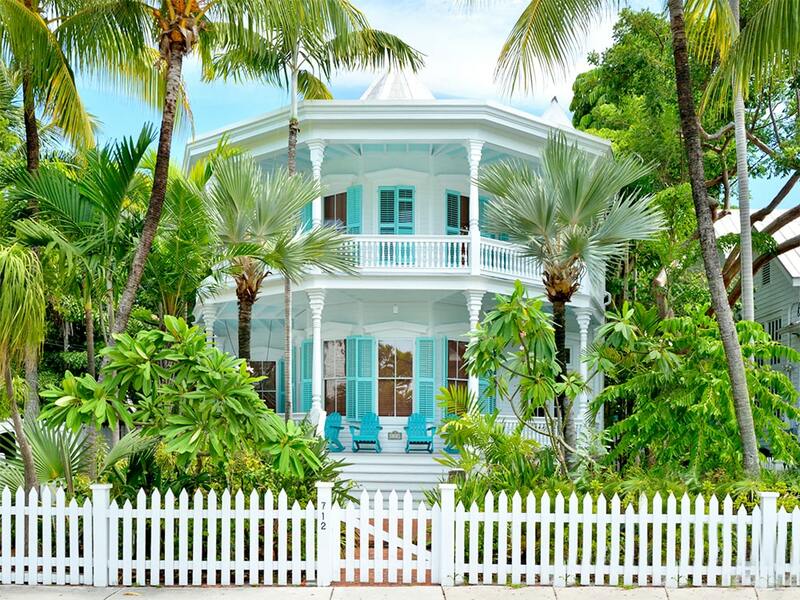 If you've ever strolled up Duval Street in downtown Key West, then you've undoubtedly been touched by the timeless charm of historic Key West-Victorian structures that house the local establishments. Peaked tin roofs, horizontal wood siding and enchanting gingerbread trim were classic trade marks when these early 1900's downtown buildings were first built. And one popular property design embodied a mercantile space below with a residential home "up top" with a "birds eye view" of the downtown "comings and goings' of island life. While most of the 2nd floor spaces on Duval Street have turned completely mercantile during the past 30 or so years, an exceptional few have kept their "up top" residential spaces. 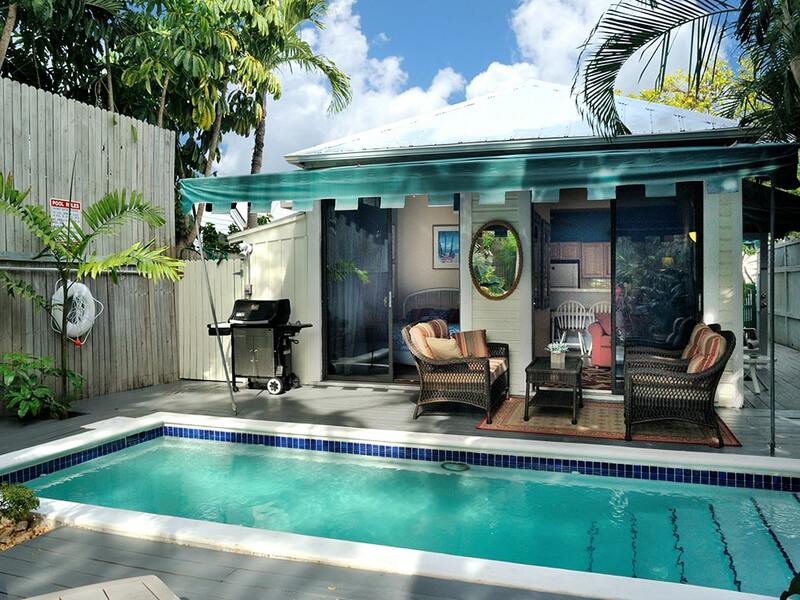 A special few, such as this Key West rental, have received complete renovations to bring to modern standards... and now you have the opportunity to stay here and live the dream for yourself! Amenities: Wide lounging deck spanning nearly the entire width of the building and overlooking the city lane that intersects at the 700 block of Duval Street. Brand new artistic renovation. Fully equipped kitchen, a/c, washer/dryer, telephone, and color cable TVs. Linens and towels are provided. Catering can be arranged. Maid service can be scheduled. Activities: Downtown Old Town Key West on Duval Street in the 700 block. 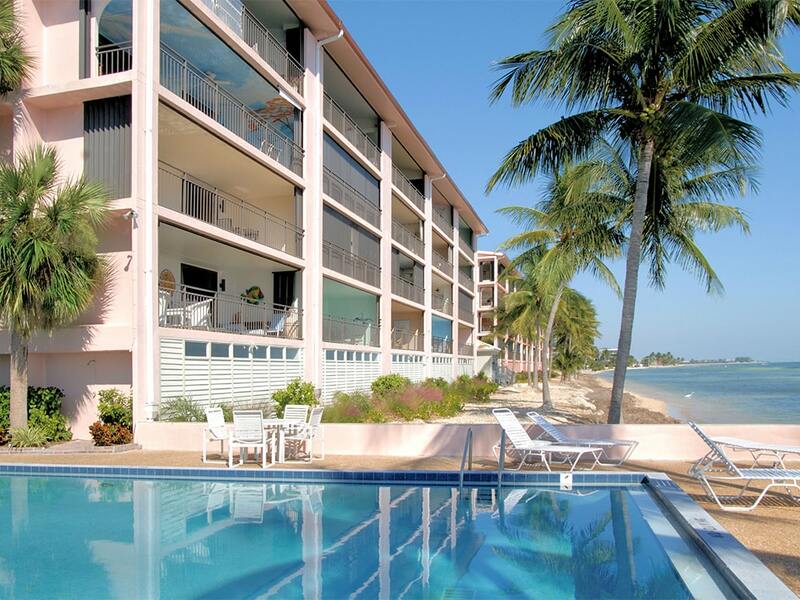 Just a few short blocks from Mallory Square, Fausto's Fine Foods for grocery shopping, excellent downtown restaurants, night life, popular clubs, the Historic Seaport, and tropical shops. Sailing, boating, diving, museums. 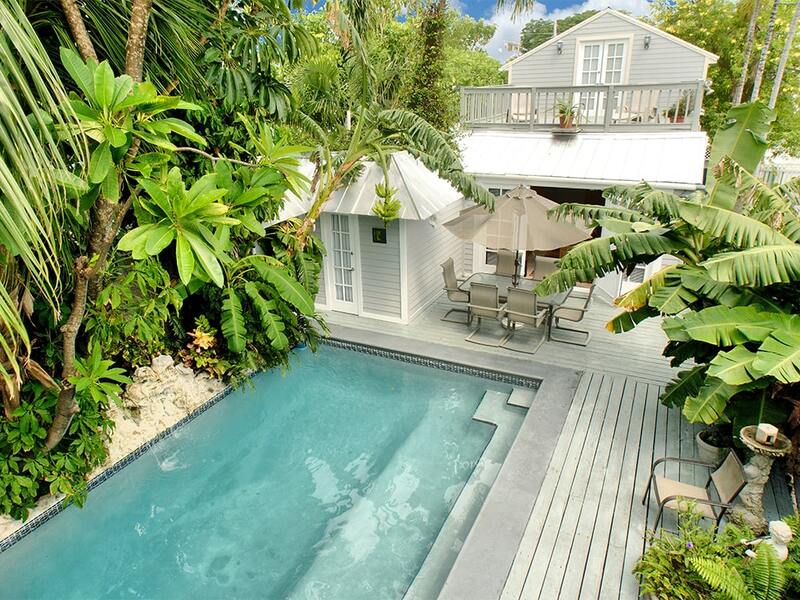 Area: Walk out your door and down the lane to all you want to see in Historic Key West. 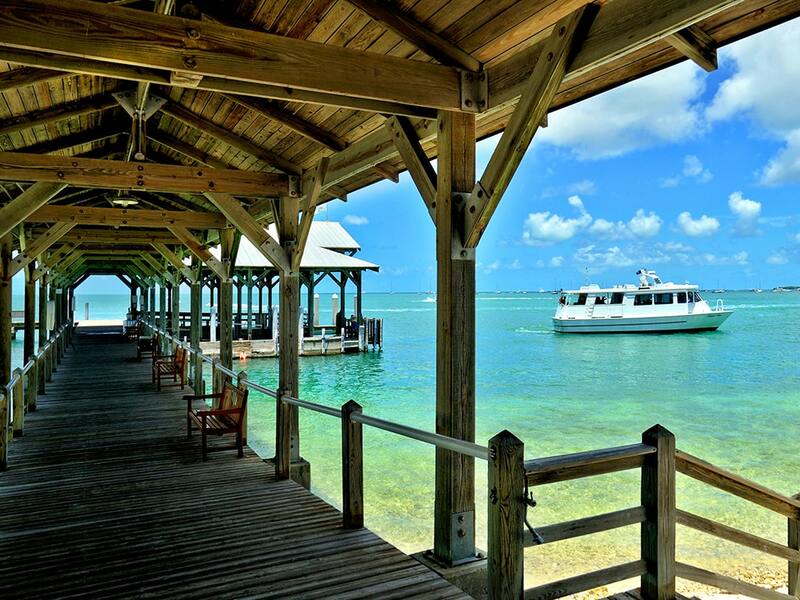 Best restaurants, shops, galleries, clubs, Hemingway House Museum, Light House Museum, Custom House Museum, aquarium, Ship Wreck Museum, Southern Most Point of the U.S., close to beaches. Walk everywhere from here. This suite is part of the Penthouse On Duval and rental of this unit as a separate suite depends on availability. Please contact us for more specific details on how this works.